In terms of touring bike data, we can look no further than the information collected by Tim from The Next Challenge. 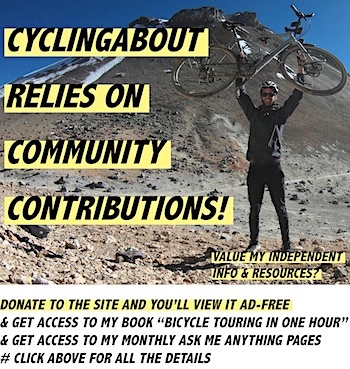 With a mind-boggling 327 contributors and an odometer totalling 8,089,000km (5,030,000mi) when combined – we can probably learn and understand a few things from the most experienced riders out there! The criteria for contributing to this touring bike data set is that you must have completed a 10,000km+ trip (6200mi+). 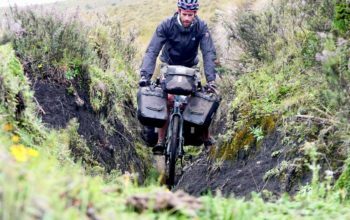 There are lots of cross-continental riders in there, as well as someone who spent 16+ years travelling by bike. Quite a few travellers on the list are on open-ended trips attempting to see every country in the world. 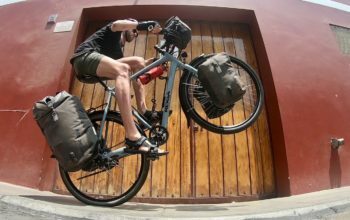 This page is going to focus on the touring bikes and parts of these round-the-world travellers. 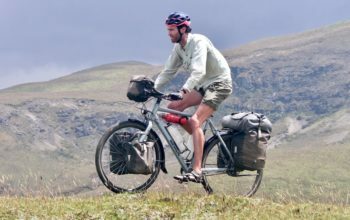 Bike tourers remain quite divided between flat and clip-in pedals, going to show that it really doesn’t matter what pedal type you prefer – if you want to ride long-distance, you can do it! I can’t really see this split changing anytime soon because both pedal types have their advantages depending on your style of travel. 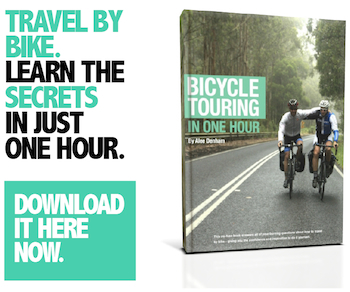 Head HERE to read more about clip-in pedals and bicycle touring. Touring cyclists are split between handlebars types. It turns out that flat handlebars with only one or two different hand positions are perfectly adequate for the majority. 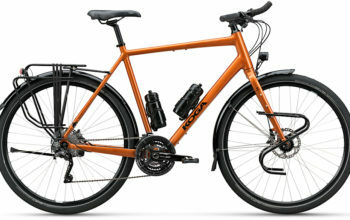 Almost a third like the high and low hand locations on road handlebars and a fifth enjoy the near and far hand positions offered with butterfly handlebars. Head HERE to read in-depth about the different types of touring handlebar. For bike travellers over the last couple of decades, the 26″ wheel size was preferred over 700c at a rate of about 2 to 1. But we can expect a big uptake of 700c/29er wheels on long-distance touring bikes over the next decade as modern incarnations are regularly specified with the larger wheels. Head HERE to read my analysis of the 26″ and 700c wheel choice. There was a clear majority of long distance riders who used bikes with rim brakes. Again, this is due to the time in which many people completed their trips. Disc brake technology is pretty solid nowadays and the majority of 2017 touring bikes come with this braking type. We can expect to see disc brakes on the majority of world-conquering touring bikes over the next decade or two. Head HERE to learn about the different brake styles on touring bikes. 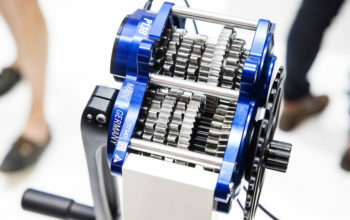 It’s no surprise that the clear majority use a conventional derailleur drivetrain. This option is the cheapest, lightest and easiest to repair in countries all over the world. But despite this, almost a third on the list used an internally geared hub like the Rohloff 14-speed to make the most of the sealed away, maintenance-free nature of these gears. Completed A Trip Over 10,000km? Contribute To The Spreadsheet!